If you feed chicken nuggets to your kids, you might want to check your freezer. The U.S. Department of Agriculture’s Food Safety and Inspection Service announced Friday Tyson Foods Inc. has recalled 75,320 pounds of frozen, fully-cooked chicken nugget products because they may contain “extraneous materials.”The recall comes after some customers found small pieces of plastic in the food, which was traced to a product scraper inside a blending machine. Reports of minor oral injuries have been made. Anyone concerned about injury or illness should contact a doctor. – 5 pound bags of Tyson Fully Cooked White Meat Chicken Nuggets – 16142-928 with a “Best if Used By” date of Jan. 26, 2015 or Feb. 16, 2015. They products have manufacturer codes of 0264SDL0315 through 19 and 0474SDL0311 through 14. The nuggets were made Jan. 16, 2014 or Feb. 16, 2014 and shipped nationwide. – 20 pound bulk bags of Spare Time Fully Cooked Nuggets-Shaped Chicken Breast Pattie Fritters w/ Rib Meat – 16142-861 with identifying codes of 0264SDL0315 through 19 and 0474SDL0311 through 14. The nuggets were made Jan. 26, 2014 and Feb. 16, 2014 and were shipped for institutional use in Indiana and Arkansas. All of the bags will have establishment numbers of P-13556. Questions? 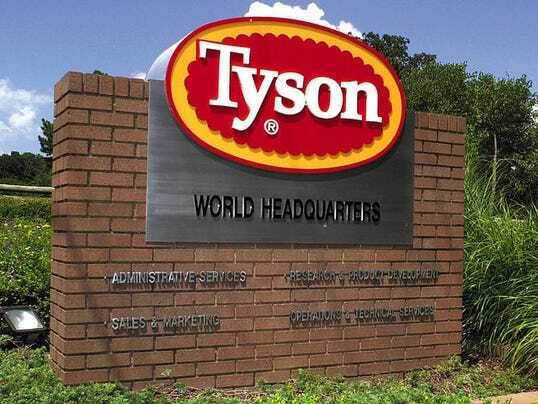 Contact Tyson Foods Consumer Services at 866-328-3156.